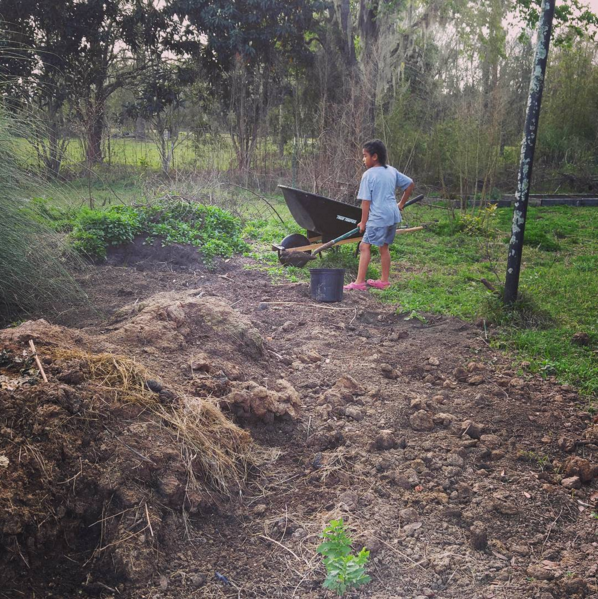 Juice loading up the compost so we can plant watermelons and pumpkins! Allie weeding her flower garden. Because we practice a more unconventional method of homeschooling known as unschooling we don’t typically follow any kind of curriculum. Instead, we use daily life experiences to “teach” the children about a variety of subjects and life in general. We really enjoy it! 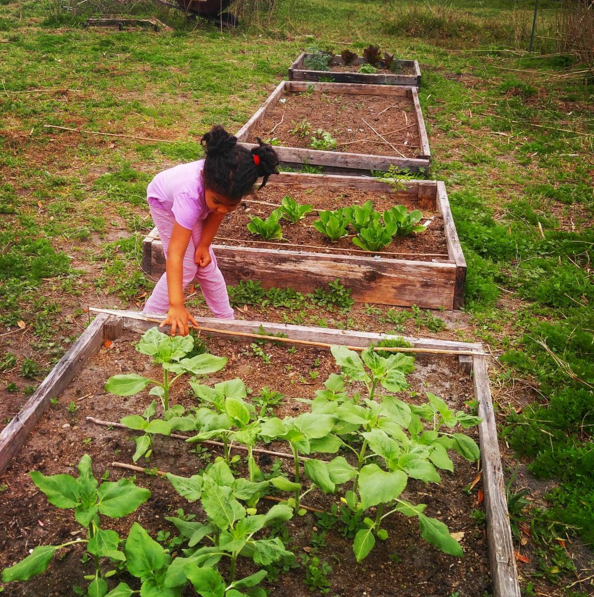 The lessons come naturally as we work, live and homestead together. For example, we practice measurement skills in the kitchen and gardens and enjoy playing board games and other games to encourage literacy like sight word bingo. Now that Juice is reading some chapter books Allie seems to be getting more interested in learning to read. We just play it by ear and go at the children’s pace. 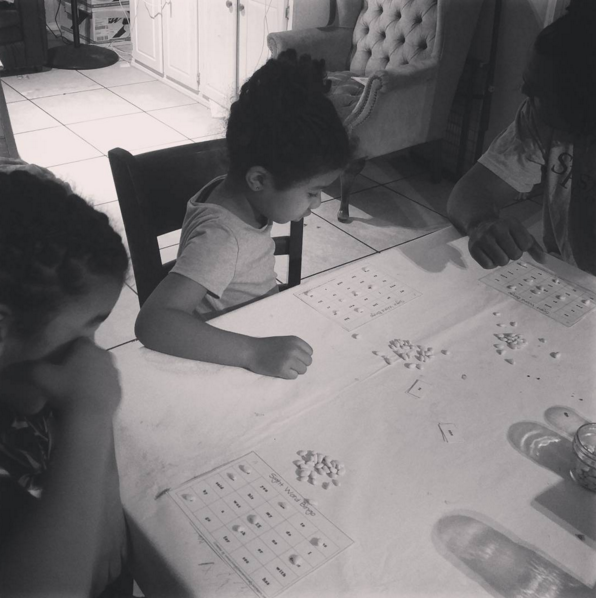 Family game of sight word bingo! 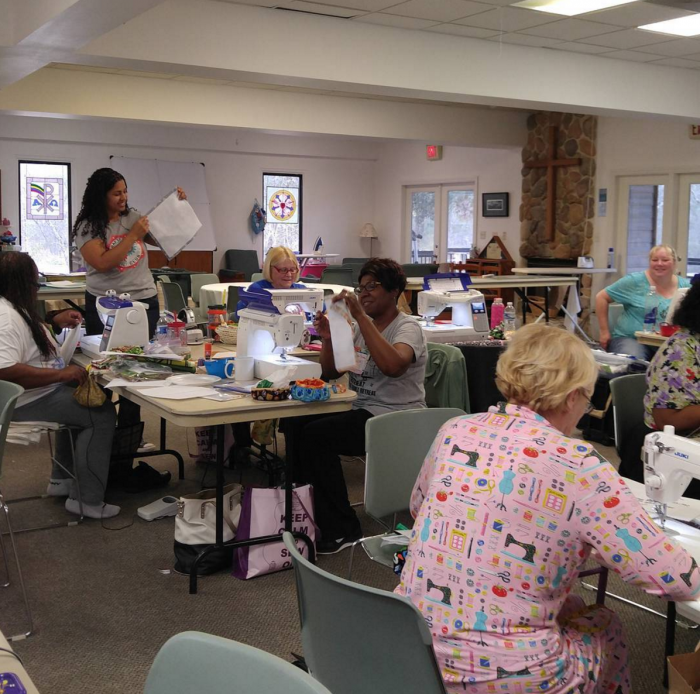 In more quilty news, this past weekend I hosted an #epicquiltretreat here in Florida and welcomed 20 quilters to spend a fun-filled weekend with me! If you follow me on Facebook or Instagram you probably saw tons of pics of the retreat. If not, no worries. I’m working on a proper blog post dedicated to recapping the quilty fun we had! Stay tuned! If you are interested in signing up for one of my future retreats be sure to sign up for my email newsletter as that is where I announce when the registrations are open for signups. My son made a pair of shorts! I love the way you’re home (un) schooling your children. What a wonderful way for a child to learn! I’d take her shopping with me. She wanted to read so badly, at such a young age. So I started teaching her the letter of the alphabet with games. The next thing I knew, she was reading the labels in the supermarket! She’s now 14 and a straight ‘A’ honor student. Next year she’ll be earning college credits. I wish all children could learn this way. Keep up the good work!